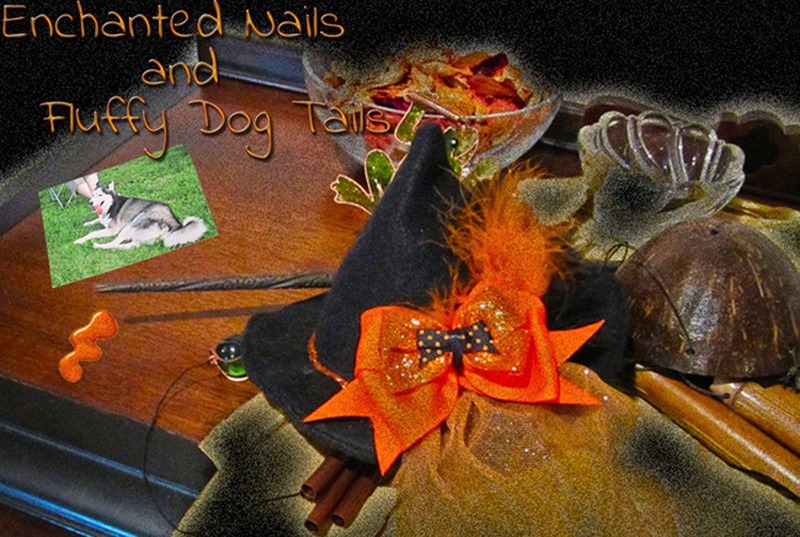 Enchanted Nails and Fluffy Dog Tails: Try It On Tuesday #1! 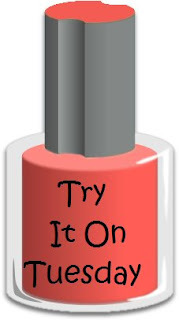 It’s Try It On Tuesday! Some of my favorite bloggers put together this challenge, and I have so many that fit the criteria! Essentially, you’re trying on a polish that’s been sitting around, waiting it’s turn. Warning – pic heavy post! 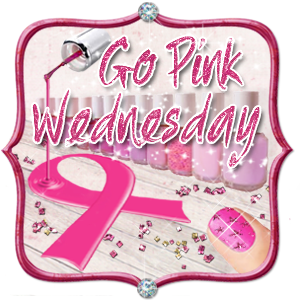 And the adorable polish bottle you see is courtesy of Jilltastic Nail Design - one of those favorite bloggers I mentioned. My first attempt was an epic failure- we’ll get to that in a moment. What I ended up with? Two polishes I’ve had but haven’t used yet. Butter London Trout Pout and HITS Foxtrot. I have four butter London polishes. The first, Knackered, was a beautiful hot mess. I had more hope for Trout Pout, because these polishes are revered and it’s such a bright, happy pink. This was a definite improvement over Knackered, but it was still on the thick side and I had to really work to make it smooth. My brush might have had too much on it, so noted for next time, to use very thin coats. This is 3 coats of Trout Pout. I don’t like my nails “plain”, so I went for an accent nail with HITS Foxtrot. Foxtrot is a purple sheer with red-pink flakies. The light catches it and it just lights up- stunning. This is three coats of Foxtrot. I managed to actually capture some pics of the fire in it. Now, onto the epic failure. 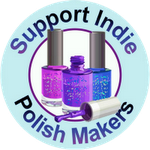 Cult Nails is worshipped by many polish users. I was lucky enough to score a few during her last sale but haven’t used them yet. So my original idea was to do Hypnotize Me (a beautiful bright green shimmer with massive green and blue superfine glitter) with an accent of Living Water ( a stunning dark green with blue and green superfine glitter, I think). I should have realized Hypnotize Me was a layering polish. It’s pretty on its own, but doesn’t flatter my skin. It was also super thick and gloppy and hard to work with or distribute evenly. These are 4-5 coats. However, on a test nail, I put it over straight black and WOWEE beautiful – and looking almost exactly like Living Water. Hypnotize Me is definitely a layering polish. Living Water, on the hand, was much easier to work with, but it was almost too thin. It is very, very dark dark but has beautiful fine glitter in it. In the sun, it’s stunning, but really hard to capture on film. I look forward to working with these again, but for now, sticking to summery hot pink. There's a heat wave headed to my part of the US the next couple days-everyone stay cool! Hypnotize Me is pretty! Man, am I ever dreading the next few days. Hmmm...I don't think Hypnotize Me/Living Water was fail. Both are pretty on their own and I might even like the Hypnotize-on-black better than plain Living Water (probably 'cause the blue shows up more). 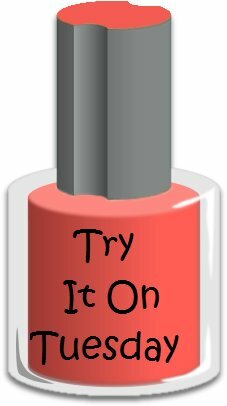 Do you have nail polish thinner? It kind of works wonders for those thick, gloppy formulas (or old favorites, including Seche Vite, that are getting a bit separated or thick). I do, Ruth, thanks for reminding me! I'll put a drop in next time to see if that helps. It is a pretty polish and I think over most dark or vibrant colors it will be fantastic. I just don't think it flatters my skintone too much by itself. I love the accent nail look. That's something I could really try out.all the colors are great! Love all the colors !!! thank you, ladies! Jen, give the accent nail look a try!